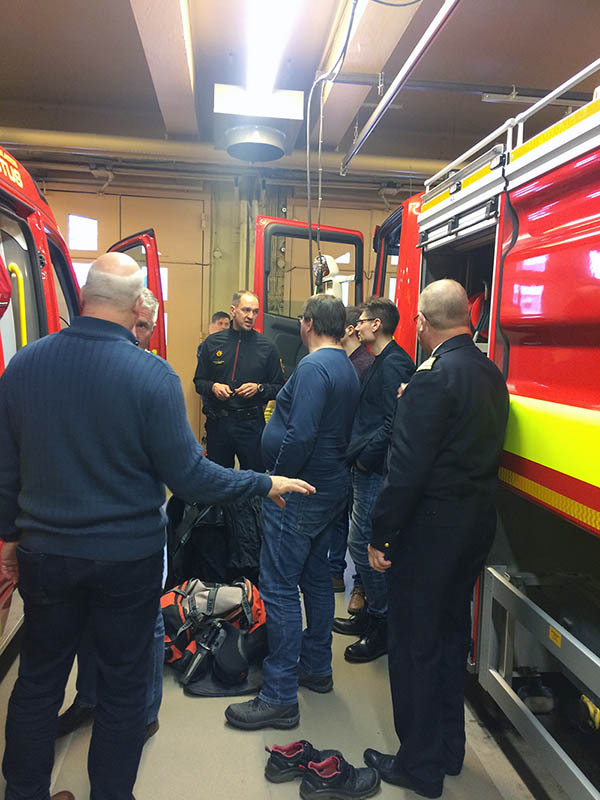 HAZARD partners got the possibility to follow, for the second time, the large-scale rescue management exercise KriSu 2018, which was held 12-14 February. 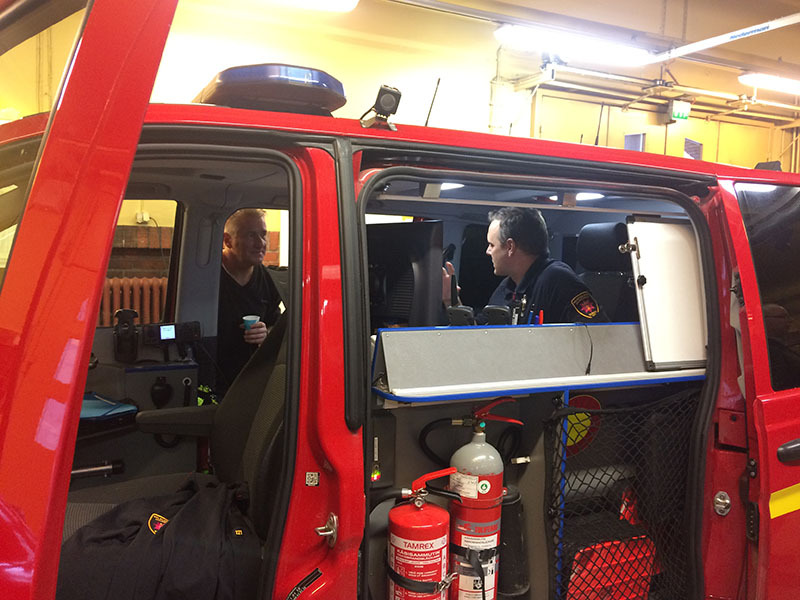 The exercise is arranged by the Emergency Services College and it is one of the biggest exercises in Finland. Over 300 persons from different authorities and organisations take part in the exercise. 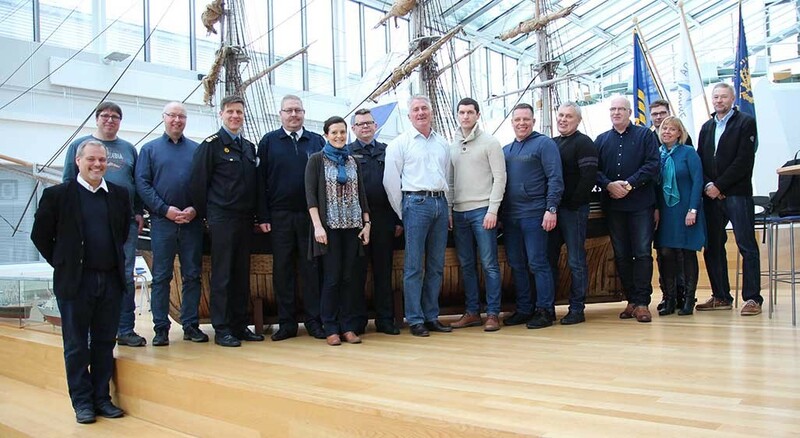 This time HAZARD partners followed the maritime accident exercise, which was coordinated by the Aboa Mare Maritime Academy in Turku. 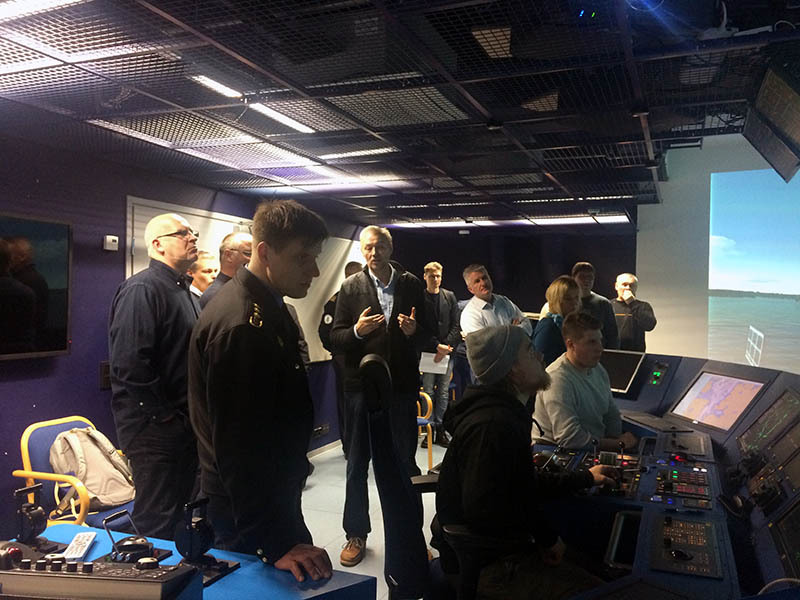 Ossi Westilä from Aboa Mare (in the middle) is explaining the use of simulators in the exercise. 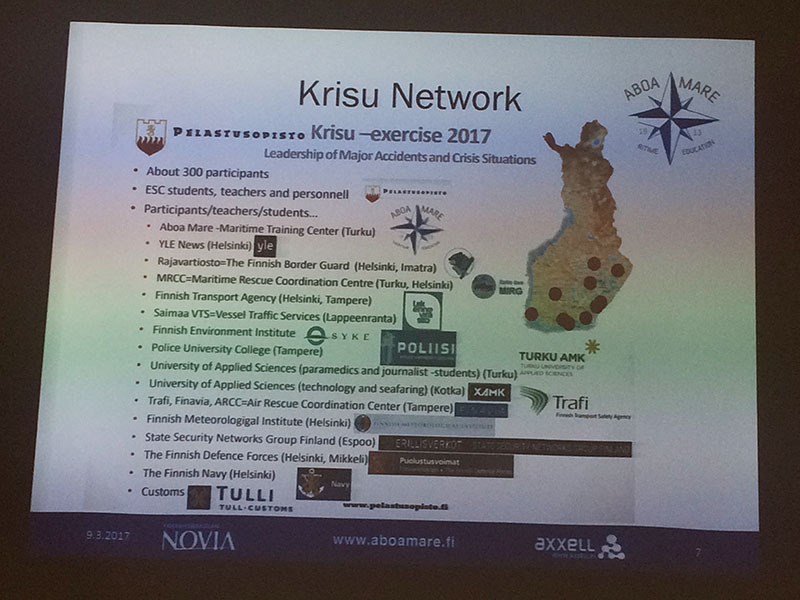 A large network behind the exercise. 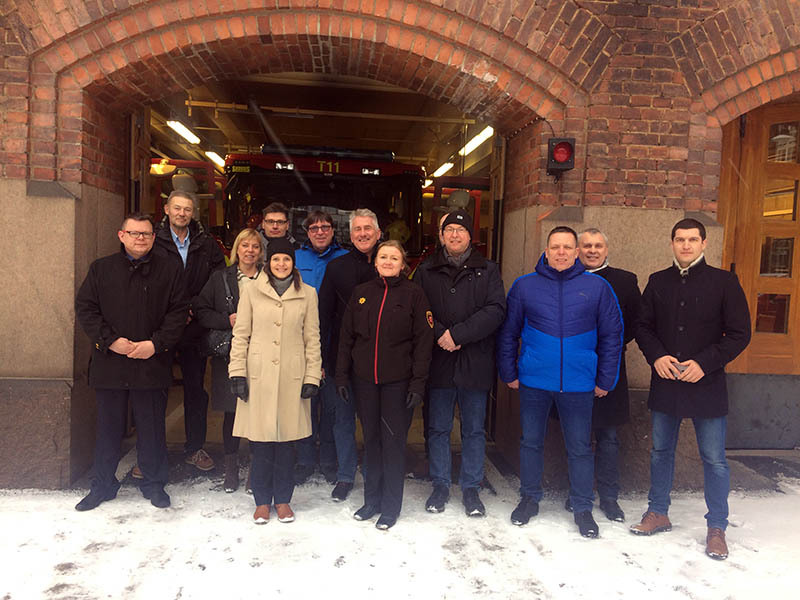 At the Central Fire Station in Turku.